Science has reliably proven that environmental pollutants, chemicals, and toxins can trigger autoimmunity. These chemicals include mercury, lead, benzene, solvents, and other compounds found in our everyday environment — carpets, mattresses, plastic utensils, plastic water bottles, fire retardants found in furniture and children’s pajamas, etc. Many people mistakenly believe the best thing to do in the face of so many toxic burdens is to undergo chelation, a process that pulls metals and chemicals out of the body. In this article I’ll talk about why that is dangerous, especially if you have autoimmunity, chemical sensitivities, or symptoms of compromised brain function. Chelation often makes people much worse, and it is not due to a “detox reaction” as many practitioners will tell you. 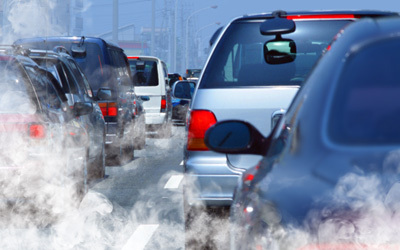 It has become impossible to completely avoid environmental toxins no matter where you live. These toxins are now in our oceans, rivers, lakes, groundwater, rainwater, and air. They are found in our soil throughout the world, including in the soil that grows organic foods. Chemicals in produce cannot be washed or peeled away as they bind to proteins in the plant while it’s growing. So if we’re all carrying around a toxic burden, why do environmental chemicals triggers multiple chemical sensitivities, autoimmunity, and other chronic health issues in some people and not others? The issue is not how many chemicals or heavy metals a test shows are in your body but whether your immune system is reacting to these environmental compounds. You can react to a toxin the same way you can react to a food, such as gluten or dairy. In fact, research I conducted with Dr. Aristo Vojdani showed approximately 20 percent of normal, healthy people demonstrate immune reactivity to chemicals. We published this research in the Journal of Applied Toxicology, which you can access free here. The review board for this study called it “revolutionary” and “breakthrough research.” It is the first study that shows a completely new model of how chemicals combine with our own proteins to create autoimmunity and how prevalent this is in our population. And we are still finding correlations between immune reactivity to chemicals and various autoimmune reactions. We will publish those findings in the coming months. So elevated levels of heavy metals or chemicals on a hair analysis or other test do not tell the whole story. What matters is whether your immune system is reacting to these compounds and NOT the quantity or levels you have. 1) First, you must be exposed to chemicals, which we all are. 2) Second, these chemicals must bind to our own tissue proteins creating new antigens (an antigen is any substance that causes your immune system to produce antibodies against it, tagging it for destruction and removal). This immune reaction cannot occur against the chemical itself. The chemical must be attached to a protein in a tissue in your body for an immune reaction to occur. 3) Third, we have an immune reaction to the chemical bound to the protein, which the immune system recognizes as an antigen. 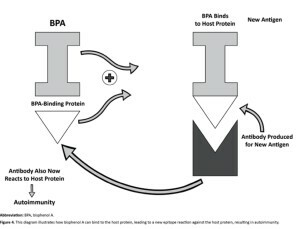 In the illustration here, we have BPA (bisphenol A, which is found in many plastic products) binding to human tissue. For instance, BPA has been shown to have an affinity for binding to human albumin. Once it is bound to the tissue, that tissue now appears as a foreign antigen to the immune system, which tags it with antibodies for destruction and removal. Thus begins or triggers the autoimmune process in some individuals. For a more detailed version of this chemical model please refer to my paper published in the scientific journal Autoimmune Disease. When a person with chemical sensitivities or a chronic health issue comes into a practitioner’s office, many run tests for heavy metals and environmental chemicals, which always come back positive. Virtually everyone tests for high levels of chemicals, especially with a challenge test. The person is then chelated using DMSA, DMPS, or EDTA. Any adverse reactions are dismissed as a detox reaction. But the truth is chelation can be devastating to those with autoimmunity, neurodegeneration (the brain is degenerating too fast), or an immune reactivity to chemicals. Chelation can be dangerous when you have autoimmunity. I have seen chelation therapy destroy people’s health. If you have an immune reaction to chemicals causing autoimmunity and you undergo chelation you could make a bad situation many times worse. The decision to undergo chelation therapy should not be taken lightly. Since most practitioners do not understand the risks I will explain the basic concepts about knowing when chelation is safe. If you are considering chelation therapy you MUST establish whether you have “chemical tolerance.” Chemical tolerance means the immune system has the ability to respond appropriately to compounds such as toxins, pollutants, and dietary proteins – that these compounds do not trigger an immune reaction. Of course, certain toxins are immediately poisonous to everyone, such as certain mushrooms, Agent Orange, high-level radiation, etc. However, many chronically ill people cannot tolerate relatively benign exposures, such as perfumes, detergents, jewelry, etc. This is because they have lost their chemical tolerance. Intolerance to shampoo, lotions, detergents, etc. The loss of chemical tolerance is a phenomenon both researchers and clinicians have identified in more than a dozen countries and across diverse groups of people. These are the people for whom gas fumes, scented body products, laundry detergents, fabric softeners, new carpeting, new construction, new car smell, and so on trigger such symptoms and conditions, including asthma, migraines, depression, fibromyalgia, fatigue, Gulf War syndrome, brain fog, memory loss, incontinence, neurological dysfunction, rashes, their particular autoimmune symptoms, and so on. Regulatory T-cell integrity. Regulatory T-cells are immune cells that regulate and balance the immune system and prevent autoimmunity or loss of chemical tolerance.21 They are key in preventing a TH-1 or TH-2 dominance. Glutathione depletion causes loss of regulatory T-cell function, as do deficiencies in vitamin D and omega-3 fatty acid. Antioxidant reserves. Depletion of glutathione, the body’s master antioxidant, is a primary cause of loss of chemical tolerance. Everyday levels of environmental compounds do not become an immune trigger unless the body’s glutathione levels are depleted. Glutathione depletion is also a major contributing factor to leaky gut, a leaky blood-brain barrier, and even leaky lungs. Barrier system integrity. Do you have a leaky gut or a leaky blood brain barrier? 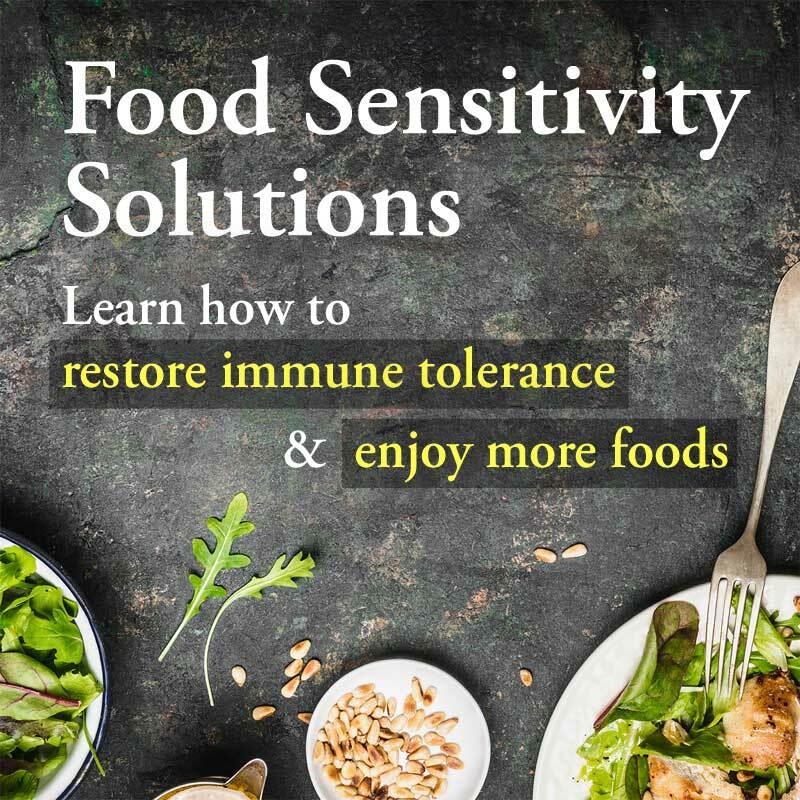 Many dietary and lifestyle factors can break down these immune barriers, increasing the risk for both loss of chemical tolerance and autoimmunity. Integrity of hepatic biotransformation pathways. Are your liver detox pathways functioning properly? Although the liver can’t break down many environmental compounds, proper liver function is still vital. If the liver detox pathways are not working properly it can add to the toxic burden. I talk more about this in my book Why Isn’t My Brain Working? Some common complaints can compromise these systems and lead to loss of chemical tolerance. For example, chronic inflammation is a major predisposing factor in loss of chemical tolerance. It contributes to glutathione depletion, loss of immune barrier integrity, and poor regulatory T-cell function. Some common symptoms of chronic inflammation include bloating, skin rashes or eruptions, joint pain, brain fog, depression and anxiety, chronic pain, chronic fatigue, and autoimmune flare-ups. Chronic stress is another contributing factor as it can break down the gut and brain barriers and create an insufficiency of immune regulatory T-cells. And, of course, chemicals themselves can lead to loss of chemical tolerance by contributing to the breakdown of the body’s self-defense mechanisms. For instance, low concentrations of mercury have been shown to disrupt immune function and influence the risk of autoimmunity. Polychlorinated biphenyls (PCBs) have been banned but are still found in the environment and have been shown to break down the blood-brain barrier and gut barrier. Chronic exposure to arsenic in drinking water breaks down the lung barrier. Chronic toxic exposure can deplete the glutathione system. These are just a few examples of the ways environmental chemicals attack our self-defense systems, making us more vulnerable to loss of chemical tolerance. Loss of chemical tolerance appears to evolve in two stages. The first stage is characterized by a breakdown in the body’s natural tolerance to chemicals and heavy metals. In the second stage, an ordinary exposure to an environmental compound, whether it is traffic exhaust, fragrances, a drug, or other chemical, suddenly triggers an immune response. I know of one woman in her 30s who had long suffered mild sensitivities to chemicals but it suddenly became severe when she stayed at a relative’s home that was heavily scented from commercial laundry products. She became dizzy as soon as she entered the home. While staying the night, she experienced the most severe vertigo of her life. By the time she made it home by plane (which was likely sprayed with an insecticide), she struggled with severe fatigue for the next two months and was largely confined to her bed. She went on to develop symptoms of MS, including loss of strength and motor function in her arms and legs when exposed to scented products or industrial fumes. Today, she must largely stay at home and eat a very strict diet to avoid a flare up. As a mother of four in her 30s, this has been an incredible hardship. This is an example of an immune response leading to a profound breakdown of immune function. Many of these people go on to develop multiple chemical sensitivities (MCS), severe allergies, multiple food intolerances, and autoimmunity. Loss of chemical tolerance increasingly shrinks not only their world but also their diet as they react to a growing list of foods. Managing their cases can be difficult as many herbs and supplements trigger reactions. Many of us may be just one major stress event away from losing chemical tolerance. It can be an IRS audit, a divorce, a lawsuit, a car accident, or other trauma. It is important for individuals to maintain their immune health and shore up their defenses so they are better able to withstand daily chemical assaults and the occasional crises life delivers. Once individuals lose their chemical tolerance, they can develop a variety of other health conditions, such as headaches, depression, asthma, chronic fatigue, fibromyalgia, autoimmunity, etc. Many do not realize that the chemicals in their environment are triggering their chronic immune reactions. Despite the quantity of heavy metal compounds that showed up on your standard heavy metal test, you need to order the Cyrex Array 11 Chemical Immune Reactivity Screen. This will tell you whether you are having an antibody reaction to any of the chemicals, which indicates you have lost chemical immune tolerance. If any markers on the test come back positive, do not consider chelation therapy, especially if you are reacting to heavy metals. You should never consider chelation until the test shows your antibody reactions are normal. Evaluate the integrity of your blood-brain barrier with the Cyrex Array 20 Blood Brain Barrier Permeability test. 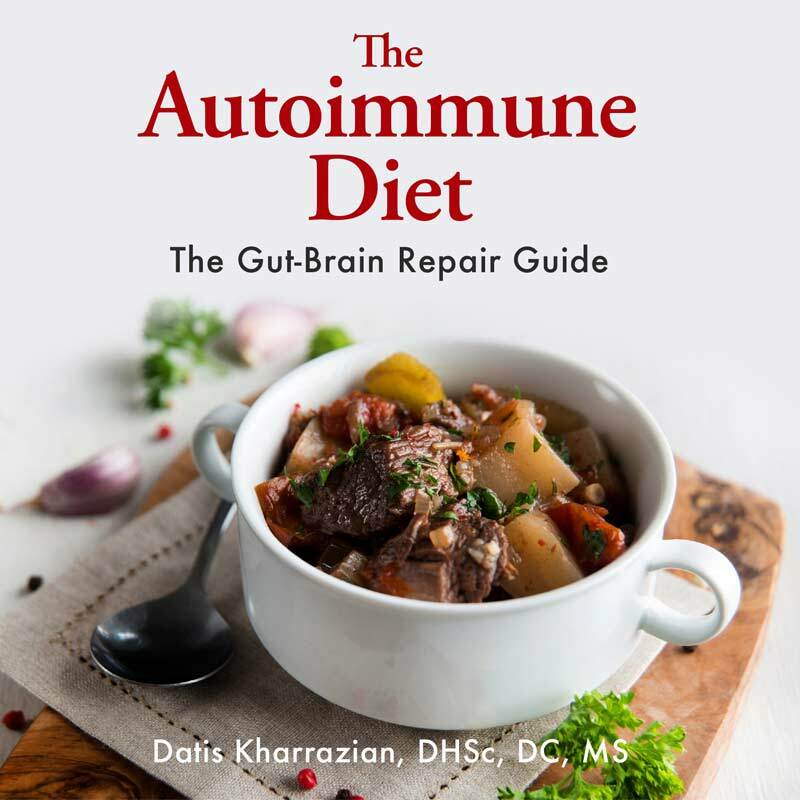 If it is positive, refer to the nutritional strategies in my book Why Isn’t My Brain Working?, particularly in the chapter on brain inflammation. Increase your glutathione levels and glutathione recycling with compounds that support that, such as milk thistle, N-acetyl cysteine, Cordyceps, Gut Kola Extract, S-acetyl-glutathione, etc. For more information, refer to my brain book. Consider a detoxification program with diet, nutrition, and botanical support. Refer to the chapter on toxins and the brain in my brain book. After following the protocols, re-evaluate your status with the laboratory profiles to determine whether the chemical immune reactivity, blood-brain barrier and intestinal permeability issues are resolving. Do not proceed with chelation until these tests show your barriers are intact and you’re not reacting to chemicals or metals. Disclaimer: Dr. Datis Kharrazian is a paid consultant to Cyrex Labs and serves on their Scientific Advisory Board. Learn more about detoxifying your home at the Toxic Home Transformation summit from June 25-July 1. 1. Li LX, Chen L, Meng XZ, Chen BH, Chen SQ, Zhao Y, Zhao LF, Liang Y, Zhang YH. Exposure levels of environmental endocrine disruptors in mother-newborn pairs in China and their placental transfer characteristics. PLoS One. 2013 May 7;8(5):e62526. 2. Barr DB, Bishop A, Needham LL. Concentrations of xenobiotic chemicals in the maternal-fetal unit. Reprod Toxicol. 2007 Apr-May;23(3):260-6. 3. Zhao G, Xu Y, Li W, Han G, Ling B. PCBs and OCPs in human milk and selected foods from Luqiao and Pingqiao in Zhejiang, China. Sci Total Environ. 2007 Jun 1;378(3):281-92. 1. Andersen O. Chemical and biological considerations in the treatment of metal intoxications by chelating agents. Mini Rev Med Chem. 2004 Jan;4(1):11-21. 2. Ewan KB, Pamphlett R. Increased inorganic mercury in spinal motor neurons following chelating agents. Neurotoxicology. 1996 Summer;17(2):343-349. 3. Ibim SE, Trotman J, Musey PI, Semafuko WE. Depletion of essential elements by calcium disodium EDTA treatment in the dog. Toxicology. 1992;73(2):229-237. 4. Flora SJ, Pachauri V. Chelation in metal intoxication. Int J Environ Res Public Health. 2010 Jul;7(7):2745-2788. 5. Andersen O. Principles and recent developments in chelation treatment of metal intoxication. Chem Rev. 1999 Sep 8;99(9):2683-2710. 6. Andersen O. Chemical and biological considerations in the treatment of metal intoxications by chelating agents. Mini Rev Med Chem. 2004 Jan;4(1):11-21. 7. Ewan KB, Pamphlett R. Increased inorganic mercury in spinal motor neurons following chelating agents. Neurotoxicology. 1996 Summer;17(2):343-349. 1. Cranor C. The legal failure to prevent subclinical developmental toxicity. Basic Clin Pharmacol Toxicol. 2008 Feb;102(2):267-273. 2. Lim SS, Vos T, Flaxman AD, et al. A comparative risk assessment of burden of disease and injury attributable to 67 risk factors and risk factor clusters in 21 regions, 1990-2010: a systematic analysis for the Global Burden of Disease Study 2010. Lancet. 2012 Dec 15;380(9859):2224-60. 3. Agency for Toxic Substances & Disease Registry. Priority LIst of Hazardous Substances That Will Be the Subject of Toxicological Profiles. http://www.atsdr.cdc.gov/SPL/index.html. Updated October 25, 2011. Accessed March 4, 2013. 4. Miller CS. The compelling anomaly of chemical intolerance. Ann N Y Acad Sci. 2001 Mar;933:1-23. 5. Requejo R, Tena M. Influence of glutathione chemical effectors in the response of maize to arsenic exposure. J Plant Physiol. 2012 May 1;169(7):649-656. 6. Vojdani A, Lambert J. The onset of enhanced intestinal permeability and food sensitivity triggered by medication used in dental procedures: a case report. Case Rep Gastrointest Med. 2012;2012:265052. 7. Mićović V, Vojniković B, Bulog A, Coklo M, Malatestinić D, Mrakovcić-Sutić I. Regulatory T cells (Tregs) monitoring in environmental diseases. Coll Antropol. 2009 Sep;33(3):743-746. 8. Winder C. Mechanisms of multiple chemical sensitivity. Toxicol Lett. 2002 Mar 10;128(1-3):85-97. 9. Gardner RM, Nyland JF, Evans SL, et al. Mercury induces an unopposed inflammatory response in human peripheral blood mononuclear cells in vitro. Environ Health Perspect. 2009 Dec;117(12):1932-1938. 10. Seelbach M, Chen L, Powell A, et al. Polychlorinated biphenyls disrupt blood-brain barrier integrity and promote brain metastasis formation. Environ Health Perspect. 2010 Apr;118(4):479-484. 11. Choi YJ, Seelbach MJ, Pu H, et al. Polychlorinated biphenyls disrupt intestinal integrity via NADPH oxidase-induced alterations of tight junction protein expression. Environ Health Perspect. 2010 Jul;118(7):976-981. 12. Olsen CE, Liguori AE, Zong Y, Lantz RC, Burgess JL, Boitano S. Arsenic upregulates MMP-9 and inhibits wound repair in human airway epithelial cells. Am J Physiol Lung Cell Mol Physiol. 2008 Aug;295(2):L293-L302. 13. Genuis SJ. Sensitivity-related illness: the escalating pandemic of allergy, food intolerance and chemical sensitivity. Sci Total Environ. 2010 Nov 15;408(24):6047-6061. 14. Genuis SJ. Sensitivity-related illness: the escalating pandemic of allergy, food intolerance and chemical sensitivity. Sci Total Environ. 2010 Nov 15;408(24):6047-6061. I am so incredibly grateful for this post. I am the perfect example of what Dr. K describes- I was diagnosed with Hashimoto’s a year a half ago and have been working with a functional MD and Naturopathic Doctor on my health. I had been progressing well until this summer when my ND had me go through chelation for a month. After that period, my condition has been deteriorating, all my food sensitivities are back and worse than ever, my joint pain is worse than ever and my fatigue, brain fog, and lack of brain function is overwhelming. And we’ve been at a loss as to why I’ve made such giant steps backwards. This explains it. What you didn’t cover, however, was how to recover from chelation for those with autoimmunity. What do you suggest to support my system and get back on the path to healing again? Hi Danica, I am sorry to hear that. I am curious as to what chelation protocol you followed? Did you have all your amalgams out before trying the chelation? I understand that is absolutely necessarry to have all fillings out before attempting chelation. there are two methods that i know of that claim to be safe. both mention that chelating has to be done with the utmost care. it might behoove you to read about them now to help understand what happened at an even greater depth. Both have very good facebook pages. one is Andy Cutlers method, which uses DMSA, DMPS, and ALA in a timed sequence so that it pulls the toxic metals like mercury all the way out of the body. the second, is Rick Shade of Quick Silver which uses glutatione, and glutathione recycling to pull the mercury out that way. I have not tried either, but there are many people who are doing it. I am just now getting my amalgams removed. To answer your question, I don’t have any amalgams in my adult teeth, so no. I followed the DMPS protocol for a month. I’ve been getting sicker and sicker ever since. Danica, I have autoimmunity to chemical pesticides, I am just a human . I have found some things that have saved my life. One is Green Food corp. Barley Grass powder. It detoxifies, protects from all petro chemicals. Amazon sells it, Vit. shoppe too. It removes heavy metals by neutralizing them. I don’t know if this will help you, But it can’t hurt. My email is: stephanieshundemer@Hotmail.com. email me so I can tell you what else I have found. Bless you. As i understand it, the toxic metals like mercury has moved around your body due to the chelation and has done some damage in the process. it migrates around the body and doesnt necessarrily get removed from the body, that is the problem as i understand it. on the two protocols i mention in my other post, they do mention how to recover from improper chelation. I am just starting to learn about it myself. but i would re-iterate that the very first step is having all the amalgam removed from the body. you may also want to go on youtube and listen to videos by Christopher Shade, of Quick Silver. Dr. K or anybody else. I am wondering if it is safe to have your amalgams removed by a biological dentist before your antibodies are normal. I have been working on these protocols for myself for years, but I feel I can’t make that last leap to greater health without my amalgams being removed. Maria, if you have amalgam (or mercury) fillings removed, please have them pried out in pieces rather than drilled out. There is some risk of tooth damage with prying, maybe because those of us with Hashi’s and related conditions may have poor minerals absorption and related tooth issues. But the drilling process almost inevitably puts mercury in the air (and all over you, the dental office, and your lungs) as well as in your mouth and digestive system. Great article. Thank you. It leaves me with one question. Does zeolite also fall under the chelation umbrella? Is it safe to use zeolite while having an autoimmune condition? Yes, I would also like to know the answer to this too! This article effectively pulls together so much interesting info, and I’m looking forward to also readying your article with Dr Vojdani, an excellent resource and dear friend with deep appreciation of these various challenges. So since almost everyone test high in metals does that mean Chelation is only a money maker? Thanks, Dr. Kharrazian. Could you please tell us if the same goes for other detox methods, such as infra red sauna use? I am interested to know about biofilm disruptors. Are they safe to use? It seems many practitioners are using these to get rid of “bad” bacteria, however, in those biofilms heavy metals also live. Should these also be avoided? Also, what about “slowly” chelating concurrently using chorella and glutathione? 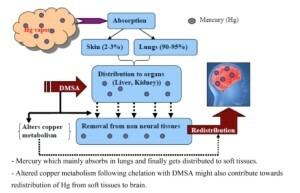 i’m chelating (five months in) via andrew culter’s protocol – safe and effective – low and frequent dosing (every 3-4 hrs even at night) of DMSA and ALA.
most people who get worse after chelating did the wrong way about it – like not frequently taking the chelators on the half life and then just redistributing metals vs getting them out. Hi Susan are you still doing well with your method? Did you remove the mercury fillings first? Doing this safely and effectively without it backfiring on thier health. I am toxic with mercury, My main system is fatigue, I have two bridges in the back over 40 years ago. Also, I have some hearing loss and eye degeneration. Josie; Sounds like you need to get connected with a practitioner who can see you in person, do the right labs, and determine what the next steps are. Mercury toxicity is serious, and I can’t make any recommendations about that. I have rhumitoid arthritis and stuffer a lot of fatigue. I had chelation, hydrogen peroxide and vit c treatments almost a month ago and the inflammation and pain I feel has slightly improved but the brain fog/fatigue has gotten really bad! I don’t feel like my self anymore and I feel so depressed! I told the doc and he suggests I come for more hydrogen peroxide treatments, vit c and murcury removal. I’m scared to go back but I’m scared to do nothing… this fatigue is unbearable to live with. Please help! When there is a lot of inflammation in the body, the protective barrier around the brain, called the blood-brain-barrier (BBB) can become over-permeable, allowing molecules into the brain that shouldn’t be there. It’s a similar process to how one gets leaky gut. This process can lead to inflammation in the brain. Be wary of chelation right now – with chelation, you release heavy metals into the bloodstream. If you have a “leaky” BBB, they can get into the brain and cause inflammation and damage. Dr. Kharrazian is very wary of this, and recommends agains chelation for anyone who might have a leaky gut or ‘leaky’ BBB (they tend to happen together because they are based on the same inflammatory processes). Once the leaky gut/brain is fixed, chelation is much less risky. 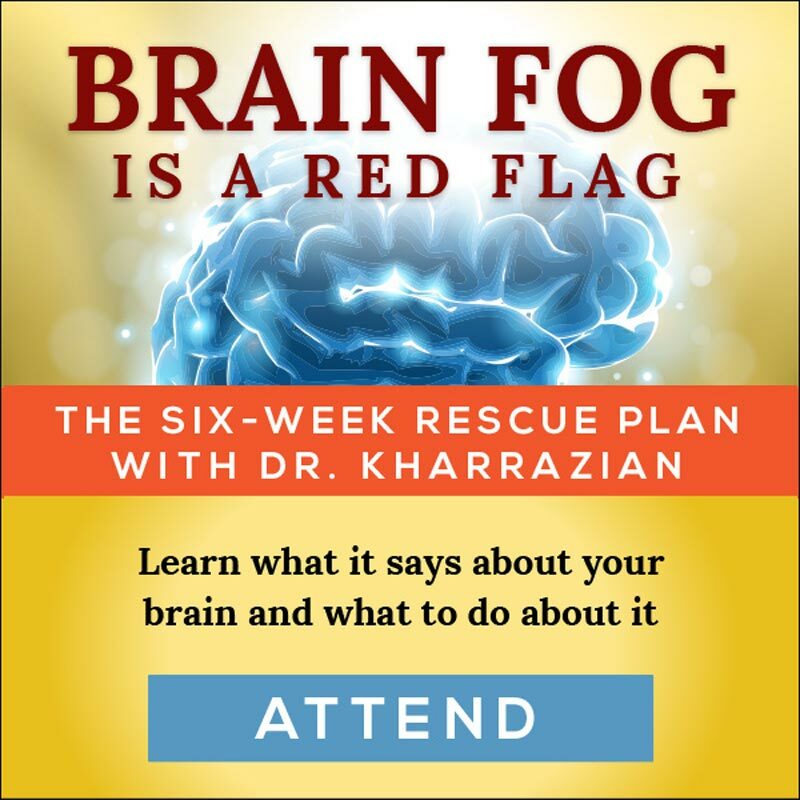 Brain fog is directly related to inflammation in the brain, and it’s possible that the chelation contributed to the inflammation that is causing your brain fog. If you want to read more on it, find a copy of Dr. K’s book “Why Isn’t My Brain Working”. Some libraries have it, or you can order one on his website (in the sidebar). Frankly, it sounds to me like your doctor doesn’t know of any other options, and it’s time to find a new one. I have Hashimoto’s and was just diagnosed about 6 months ago. I’ve been on a naturally dessicated thyroid medication called WP Thyroid, but I’m still having some symptoms, mainly hair loss. I have no idea how my antibodies are at this point. I am wondering about having my amalgam fillings removed. The biological dentist I consulted with told me that there is a detox protocol that I would have to go through after the fillings are removed. I’m wondering if it’s safe to have them removed, even if I do the detox protocol. Is this going to be too much stress on my system? Thank you! There is controversy over the removal of amalgam fillings when there is leaky gut or leaky brain present. Like leaky gut, leaky brain means a hyper-permeable membrane, but this time, it’s the protective membrane that surrounds the brain. It normally keeps pathogens and unwanted items out of the brain, but when compromised, it can allow particles to pass into the brain that can cause inflammation. Leaky gut and brain tend to go hand in hand, as they are caused by some of the same factors, and most folks with autoimmune conditions have some level of leaky gut esp. when they are symptomatic. In his brain book, Dr. K recommends avoiding chelation until one is sure the leaky brain is not an issue. If it were me, I’d consult with a practitioner trained in this information before making any choices about removing the fillings. Granted, the potential mercury in fillings is a concern, but releasing it freely into the bloodstream during and after filling removal is a big concern too for brain health. I stumbled on this article hours after talking with my naturopath about starting MDSA chelation when provoked tests showed very high levels of lead and moderately high levels of mercury and thallium. I am still waiting to hear if the lead also shows up in blood tests. I did have three mercury fillings removed less than six months ago, but with a very highly respected removal protocol, so I think there is a high likelihood the mercury has been building over the 40-50 years I’ve had the amalgam fillings. The reason this article got my attention is that I have had Hashimotos for 15 years and about six years ago, I developed a contact allergy to nickel. Primarily, I battle fatigue and various food sensitivities. Am I really better off leaving the lead in my system than “stirring it up” with chelation? Both of my parents have dementia, so, in addition to wanting to feel less “leaden” in my life, I am also inclined to removing risk factors where I can. Thank you for your inquiry. Dr. Kharrazian can’t make medical recommendations here on the blog, but I’ll try to pass along some things for you to discuss with your healthcare practitioner. 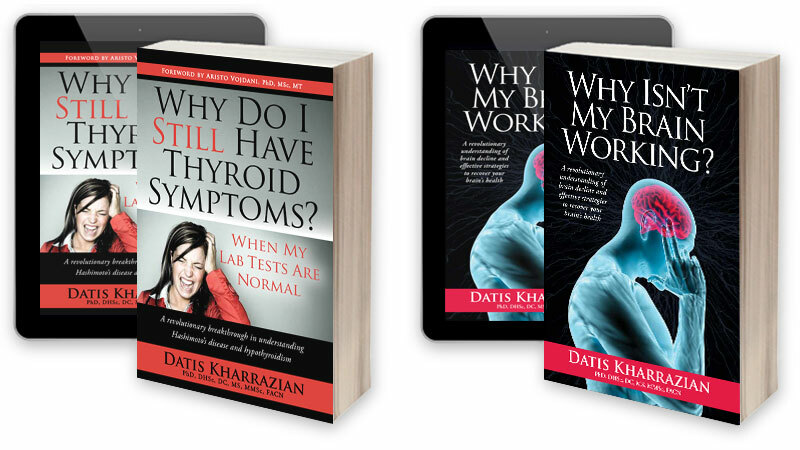 If you feel you need a different practitioner who is more familiar with what Dr. Kharrazian discusses in this article, he has a referral list here (http://thyroidbook.com/practitioner-locator/). These practitioners are very highly trained in his protocols, and some are willing to practice remotely. I know of a number of folks who have done so successfully. Dr. Kharrazian isn’t against chelation, he’s just very cautious about the timing of it and preparation for it. The choice to chelate can be a tricky one, so it’s best to have a practitioner who is familiar with the brain autoimmunity issues and test arrays mentioned in this article. The choice on whether or not you chelate, and when, has to be between you and your practitioner, but if you decide to do it, do all you can to prep and protect your brain. If it were me, I’d definitely be thorough about the tick list outlined in the section titled, “How to know whether it’s safe to chelate”. I know there are three expensive Cyrex tests mentioned (and yes, Dr. K is a paid consultant to Apex – but he also uses these tests extensively with his patients), but they are totally worth it when your brain is on the line. Glutathione, the body’s master antioxidant: There is an upcoming update to his glutathione article. Keep an eye out for it. Barrier system integrity: Search the site for leaky gut articles. Inflammation: Search the site and you’ll see some recent articles that address inflammation. An article like this can be overwhelming; one thing that helps me is to take some notes as I read, making a bullet list of the topics I want to address, and talk about with my practitioner. Lastly; I know there’s a big reading list above, but I’d also recommend digging into the general article about oral tolerance here: (https://drknews.com/food-sensitivity-oral-tolerance/). It links out to more detailed articles, too. This may help with your food and nickel sensitivities, and many aspects of the protocol will assist in setting you up better for chelation. The article cites redistribution as the reason why chelation would be bad. So wouldn’t the solution for this to be to use a safe chelation protocol that avoids redistribution like ACC Cutler protocol?